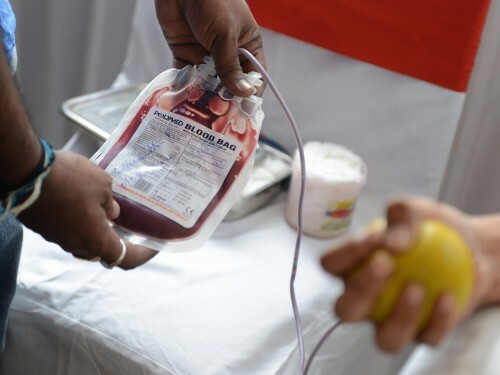 Blood donation (Image credit: Independant.co.uk). In modern life, most of us don’t face invasion, plague, or famine. There are no dragons to fight, no Black Plague to contain, and most of us don’t plant our own crops. What then will be our legacy? When near the end of our lives how will we answer the question: What great deeds have you done? How did YOU serve humanity? There may be no knights to joust, but there are things we CAN do and giving blood is one of them. So simple, so quick, so easy, so small a thing, and yet it can mean so much. There are places that will even pay you for it, so dire is the need. If someone is badly hurt or needs surgery what are they going to do, get a saline solution? That’ll work for a small loss, but nothing beats red blood cells, plasma, and platelets. So the next time you see an “emergency blood drive,” just go. Skip that nice lunch before you go back to the office and save someone’s life – you never know when it might be YOU that needs it. I’ve given blood many times in two different countries. My only regret is that I’m not a universal donor. By David A. Lindsay, author of “Lost from Atlantis – Book 1,” and “Death by Murder,” both soon to be released on Amazon Kindle. Subscribe to the “Lost from Atlantis,” “Death by Murder,” and “DavidALindsay.com” Facebook groups for announcements. Hi, I donated over 50 litres of full blood here in Perth, WA, and many litres in Poland, before…my personal experience is good for overall health and fast regeneration and body cells replacement, but I use colloidal silver, maybe too much causing “blue blood”…I had great amount of “anti-body” cells in my blood and was asked to be special donor for pregnant women…I gave up, soon because they were very concerned with colour of my skin….please use colloidal silver in moderation ! I went to “The Mall” in Korat, Thailand to give yet again. 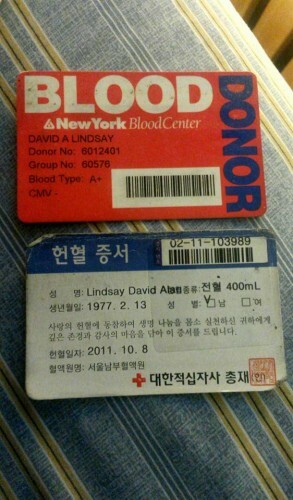 (In Korea they were so surprised and so happy that I’d give blood). I had a little sniffle so I didn’t go – that’s all a critical patient needs; some exotic pathogen when they’re already leaning on death’s door. But I WILL, and soon – it makes a very good impression for foreigners and it means so much to them.